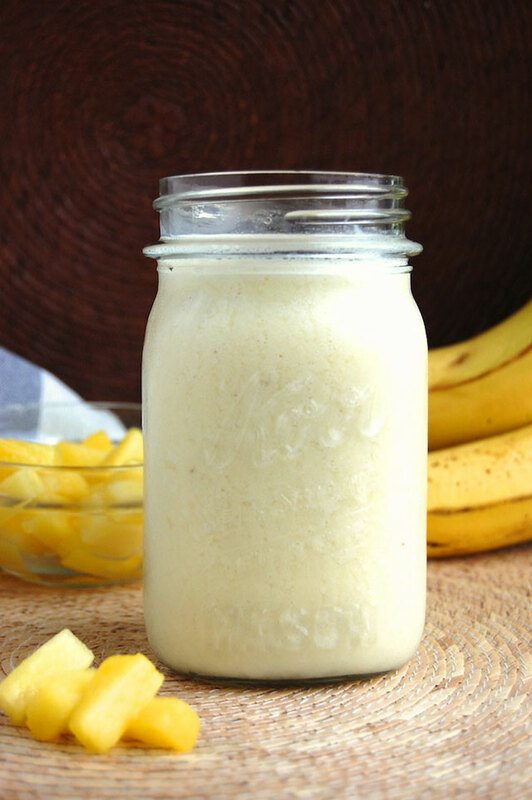 This creamy pineapple smoothie is perfect for when you are craving some tropical flavor. Sweet and tangy pineapple is the healthy base for this drink that can help your body inside and out. Pineapple, one of the oddest named fruits (nothing to do with pine nor apples) is sweet on the inside and spiny on the outside. A fun fact about the fruit is that one pineapple is actually many fruitlets that have joined around the core. Fresh or frozen pineapple is the best option, not canned. Pineapple is often canned in heavy syrup, adding more unwanted sugar or artificial ingredients to the fruit. 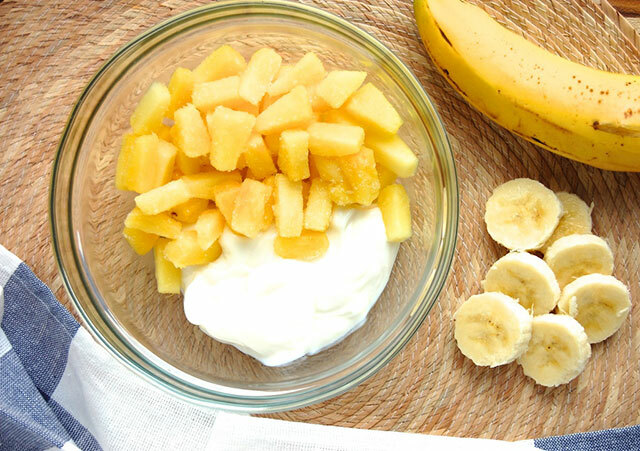 Pineapple is already high in natural sugar, so it is better for an occasional treat instead of an everyday one. The exotic fruit is low in calories and a good way to get dietary fiber, aiding in digestion and weight loss. It also helps to boost your immune system with its high vitamin C content. Vitamin C is a powerful antioxidant that fights cell damage, helps prevents heart disease, and repairs tissue (good for your skin and bones). Pineapples also contain a high amount of manganese, almost the entire daily recommended intake. The mineral also aids in developing strong bones and tissue. A unique property of the tropical fruit is its source of bromelain, an enzyme. Bromelain reduces inflammation, which may help to alleviate joint pain and arthritis. It may also inhibit the growth of tumors and malignant cells, as well as slow blood clotting. And all of this is naturally occurring in a pineapple! 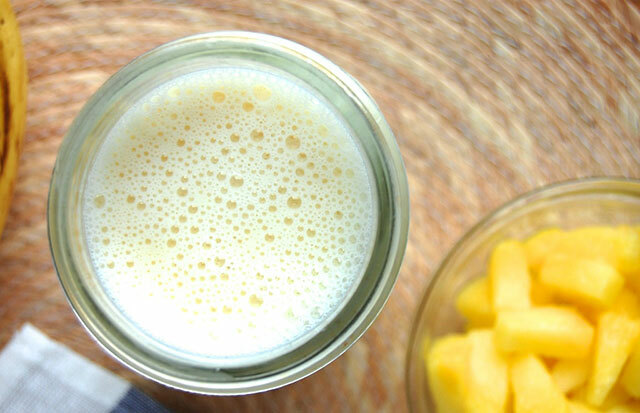 To sum it up, enjoying a creamy pineapple smoothie can also be beneficial to your health. 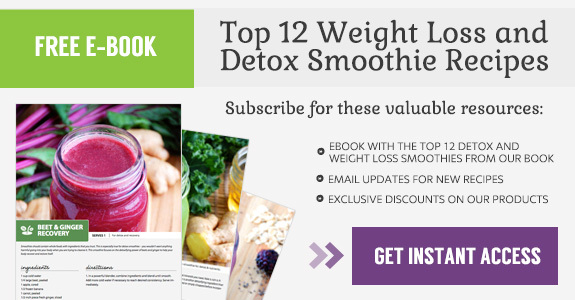 Enjoy this bright smoothie early in the day to get your body started on the right track.